It's been 18 years. We all know that by now. After tonight, when the final buzzer sounds, the clock resets to 0. The series ends tonight and the Cup returns to Pittsburgh for the second year. It's not just the 6-0 drubbing that sets this in motion. Momentum is a tricky thing. 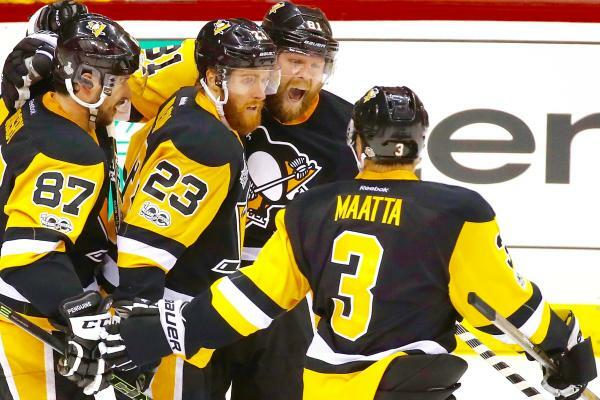 If the Penguins had any after Game 5 it's likely faded with three days between games. What dictates that it ends tonight is pattern, a trend, one that's been consistent throughout the playoffs. One Thursday's Starkey and Mueller on 93.7 The Fan, Joe Starkey pointed out a trend among the Predators: As a series wore on, they wore down. Slowly but surely they were being outplayed in the later games of a series. The Blackhawks series ended before here was a chance to see that (lol) but the Blues series started showing some wear and tear. The final three games the Predators were outshot 89-65. They were outshot in Games 4-6 but the stellar play of Rinne, combined with some iffy play by Jake Allen, sunk the Blues. Against Anaheim the same pattern showed. Outshot in the final three games 111-81 (including a staggering 41-81 in the decisive Game 6) only an injured John Gibson (Jonathan Bernier posted an .824 save percentage in a game and a half of two losses) kept this series from going seven, if not in the very injured Ducks favor. And now this series. We know the story. 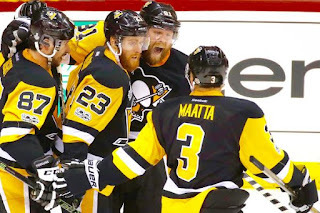 Soundly outplayed in Games 1-3, the Penguins still managed to go up 2-1 with the absence of Pekka Rinne in net until Game 3. Game 4 was still what looks like an ugly loss but in the room they said the right things: They felt better about possession numbers. They felt better about zone time. They thought the game was much better than the score indicated. Those panicking missed that they were right. The ice was even, unlike the previous three games. An uncharacteristic game by Matt Murray and some horrendous defensive exits made things look worse than they were, but there was hope. It all played out in Game 6 as Sidney Crosby put the team on his back tho. Everyone weapon was on full display and the rest was history. A 3-2 series lead with a 6-0 win. The shots on goal, the chances, are improving. Games 1-5 the Penguins had 12, 27, 28, 24, and 24 shots. The Predators chances? The other way. 26, 38, 33, 26, 24. The Penguins are gaining possession, they're gaining zone time, they're gaining dominance. The Predators are very good. They've declined as each series has gone on. They're trending down and in an elimination game for the first time all playoffs. Their only saving grace is that they're at home. Will it matter? The Predators have a crowd. The other team has Murray, Crosby, Malkin, Kessel and championship experience. There will be no blow out, but there will be a Cup raised tonight. Bring me the brandy because tonight the Penguins dance again with Lord Stanley.